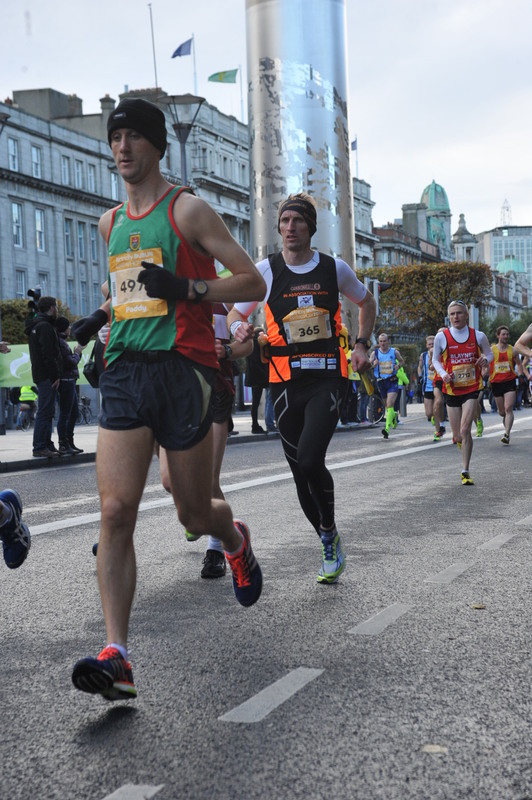 I recently completed the Dublin marathon only 3 weeks after completing the Chester Marathon where cramp curtailed what would have been a fantastic time. The race itself is the first marathon that I have completed where cramping was not an issue and played no part in my time. In the 5 marathons I have now completed at some stage each time in the race (usually in the last 6 miles) I have had to stop, stretch or just run on with the pain. This time it was different. In Edinburgh marathon (my first) I had to stop 3 times and members of the crowd had to help me stretch my legs to get me going again. In Manchester 2012 the weather was dreadful and taking on fluids in the form a well know energy drink that contain more sugar than electrolytes and just didn’t have the right balance. This inevitable led to fatigue and cramp. I have been using Serious Stamina Energy powder in my training and I find that it has the balance of electrolytes and carbohydrates and replaces the fluids necessary. It’s the only change I have made, that coupled with stretching and using my bike to recover and cross train on easy training days. During the race I was fortunate to be able to have my own mix of serious stamina on the table with the elites drinks. So I had a hit of the cherry flavour at 13 miles and it gave me a huge lift. In the race itself I ran a pretty even race 1:22 first half 1:25 second half and a PB to finish. I got in a pack with Pauline the lady who eventually finished second and was the first time I experienced the benefits of running in a group.